The gun that killed DeVonte Molley inside an Atlantic City hotel room in 2015 belonged to him, the man accused of pulling the trigger testified Friday. Sterling Spence is accused of being part of a planned robbery that turned deadly Dec. 21, 2015. 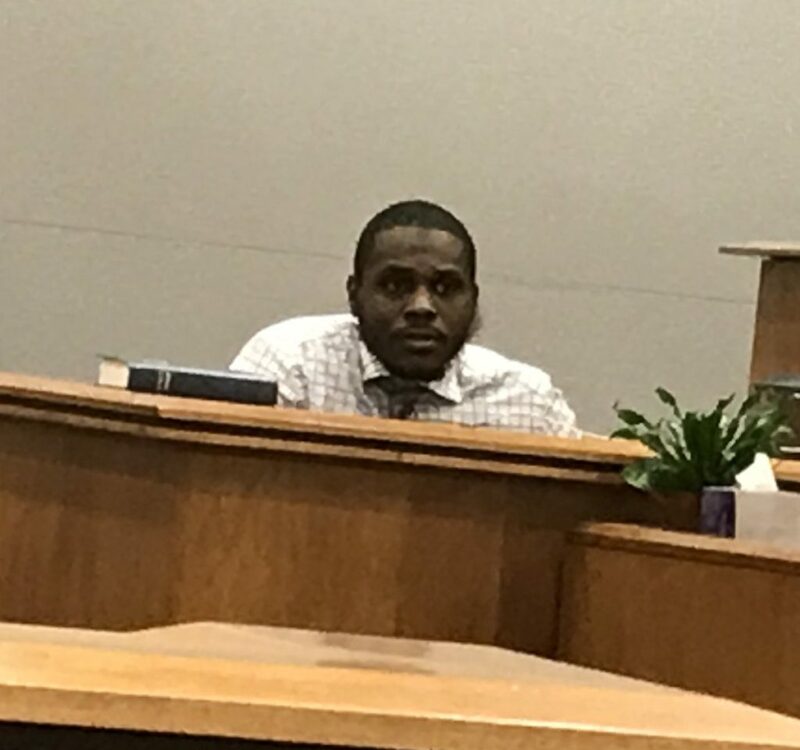 On Thursday, Spence’s co-defendants — Maurice Burgess and Charles Wynn — testified that texts the state said were planning an armed robbery were actually about selling drugs. Burgess, Spence’s cousin, had been staying in Molley’s room at the Baymont Inn & Suites when he said he texted about there being a need for more drugs to sell. Wynn’s testimony backed that version of events. On Friday, Spence also said that was the plan. He said he and Wynn were let into the room by Burgess, who left at that time. Molley was asleep on the couch, and Wynn went into a bedroom looking to see what drugs they had in the nightstand, Spence said. He testified that he had gone into the bathroom briefly to blow his nose, and when he came out he saw Molley walk by toward the bedroom. Spence called to him, and Molley turned around with a gun. “What the (expletive) are you doing?” he said Molley shouted. “Chill, Husk,” Spence said, calling Molley by his nickname. That didn’t stop Molley, he said. So slapped the gun out of Molley’s hand. Spence said he had been shot before and was in fear for his life when he tried to stop Molley from picking up the gun. Spence said he tried to pull Molley’s wrist and turn the gun away from him when it went off. He said he then picked up drugs he saw fall from his pocket and ran out. Spence insisted the plan was not to rob Molley. But a letter he previously wrote to law enforcement told a different story. Assistant Prosecutor Rick McKelvey had Spence read the letter aloud. Spence said there was a reason that letter was worded the way it was. But several sidebars with the judge and the four attorneys involved resulted in that not fully being discussed. The defense rested with just the three defendants testifying. Closings are set for Monday.